The fastest growing white dwarf may have been found using data from NASA's Chandra X-ray Observatory and other telescopes. When stars like our Sun run out of nuclear fuel, they shrink and dim as they become a "white dwarf" star. Some white dwarf stars have companion stars from which they can siphon off material due to their strong surface gravity. A new study of ASASSN-16oh in the Small Magellanic Cloud offers a new explanation for "supersoft" X-rays detected from this white dwarf. 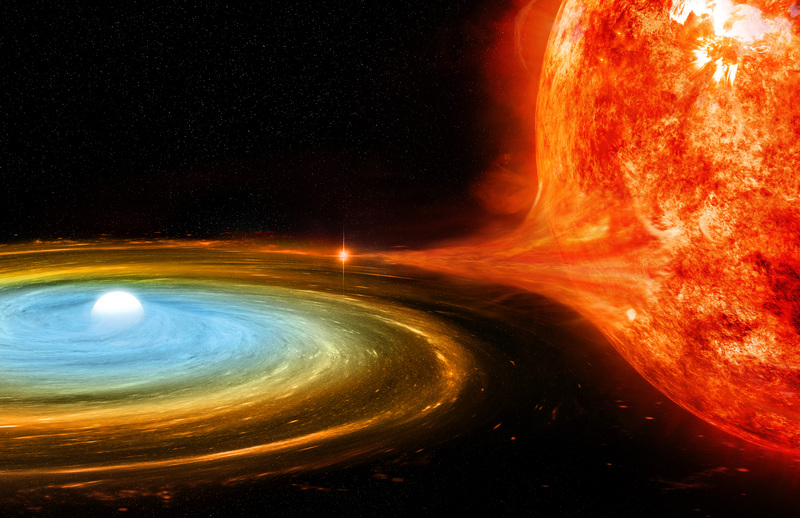 A white dwarf star siphoning off material from a companion star. X-rays from Chandra X-ray Observatory and Neil Gehrels Swift Observatory.